Twelve thousand Ngöbe-Buglé indigenous people from Panama temporarily migrate into southern Pacific Costa Rica’s coffee lands every September for the annual harvest. In addition to these migrants, most of whom come to my county of Coto Brus, there is a permanent population of about 3000 Ngöbe people living about 40 minutes from where I live in San Vito. Their reservation (“Comarca”), is called La Casona (the big house). 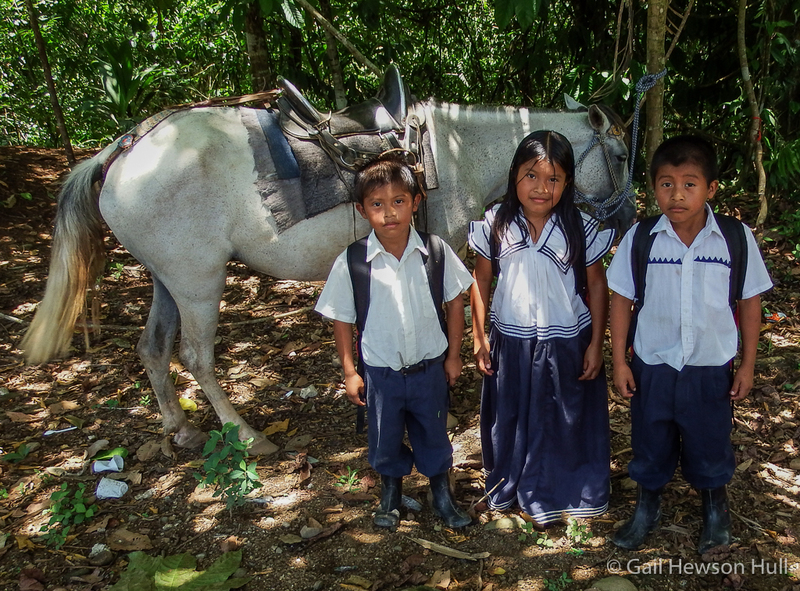 The parents and grandparents of these people migrated into Costa Rica in 1952, when they were awarded thousands of hectares of forested lands, not far from the Panama border. 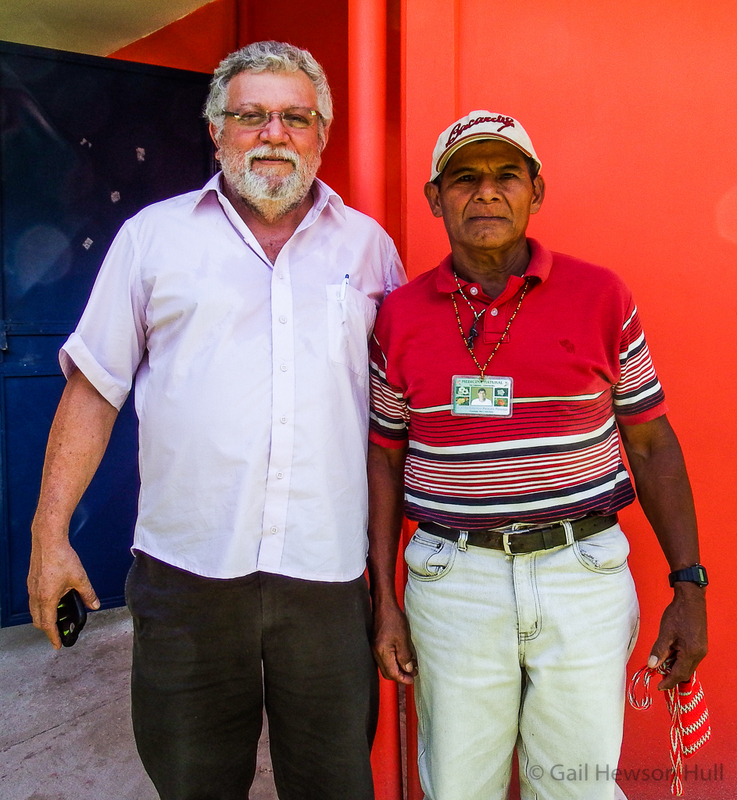 In 1988 as a young emergency-care physician in San Vito, Dr. Pablo Ortiz recognized that the Ngöbe people were completely marginalized in terms of health care, so he organized a roving team of health-care professionals to visit La Casona weekly. I went with him on one of those trips in 1989. At that time there was a high infant mortality rate due to unclean water, and every resident harbored an average of four and up to seven different intestinal parasites. Tuberculosis and pneumonia were common causes of death due to poor sanitation practices and social norms of the community that exacerbated the spread of contagious diseases, such as whole family visits to comfort a tuberculosis patient. 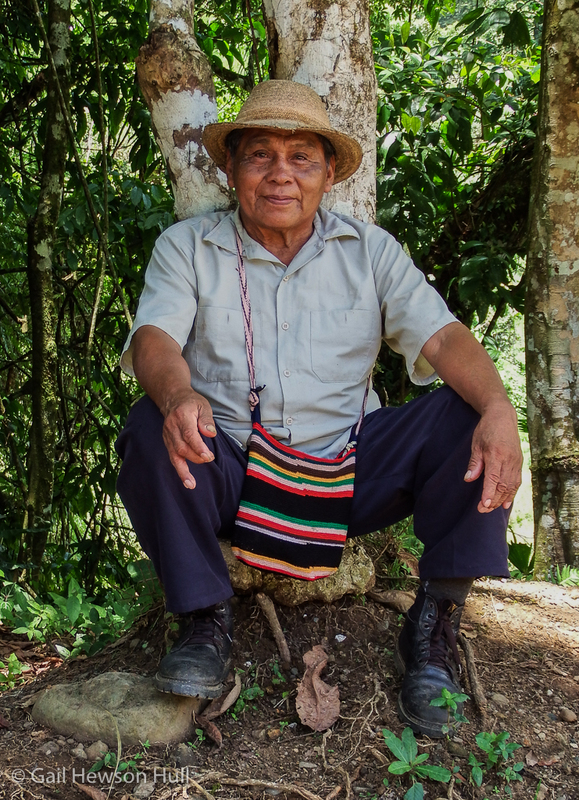 Dr. Ortiz worked with the national health care system here known as “La CAJA” to help local indigenous people attain in 1990 the same access to health care as “Tico” non-indigenous Costa Ricans. He encouraged research by colleagues from different medical disciplines to determine the special needs of the Ngöbe, and worked with World Bank professionals in 2007-2009 to train indigenous healers as health “promoters” to benefit migrant Ngöbe as well as the local permanent population. Currently serving as the CAJA’s Director of Health for Coto Brus County, Dr. Ortiz continues to visit La Casona regularly. Recently he showed me around the colorful new medical clinic “EBAIS” —Equipos Basicos de Attención Integral en Salud—(in English, Basic Outpatient Health Services) built with funds Dr. Ortiz was miraculously able to secure three years ago as a donation from Spain through embassy channels in Costa Rica. 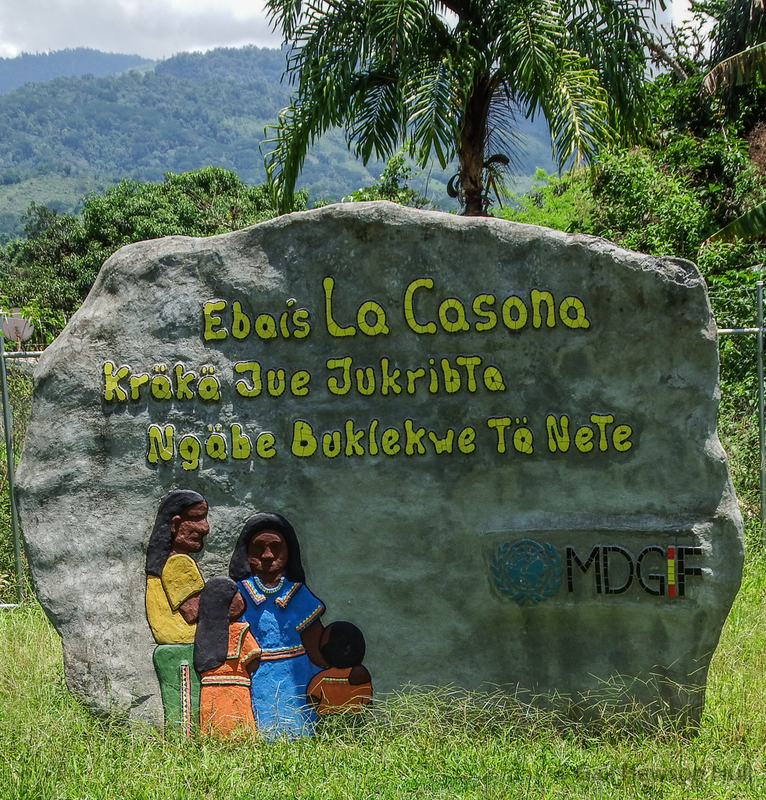 The sign designating the new clinic in Spanish and in the Ngobe-Bugle language. 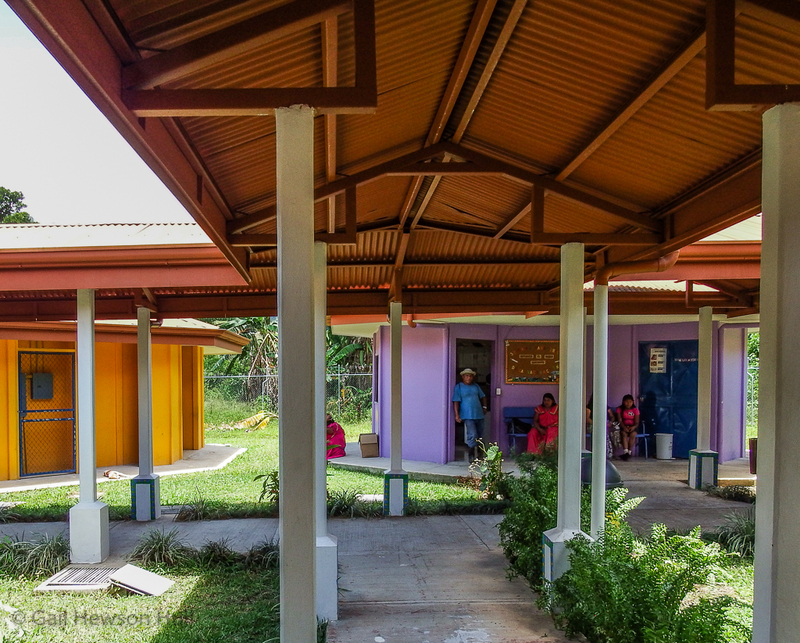 The challenging work of “cultural navigation” by the mixed team of local architect, Ngöbe leaders, Costa Rican sociologists, and CAJA doctors, including Dr. Pablo Ortiz, has resulted in an EBAIS facility design that respects the strongly held beliefs of the Ngöbe people. Small scale octagonal, brightly painted buildings (suggesting huts) connected by covered walkways, provide vernacular functionality and a sense of security more appropriate for the Ngobe than a western-style rectangular clinic structure would have been. Open-air windows (no glass) have indigenous geometric designs painted on the exterior walls to keep out evil spirits. Among the seven structures is a building for vaccinations; a building for consultations with a traditional Ngöbe (medicinal plant) healer, and another for a western-style doctor: the people have a choice. Incidence of disease in the community is down significantly in recent years due in part to distribution of free soap by the CAJA to families. To combat parasites the CAJA provides home water treatments for “sick water”. After confounding pushback from the Ngöbe, this was a negotiated solution: they had refused to follow advice to boil their water, believing that water is vitally alive, and boiling would kill it. Infant mortality has greatly diminished as well, due to special “Bolsas Semáforos”– “traffic-light bags” (in green, yellow and red) for pregnant women. The bags—one for each trimester–are filled with diverse toiletries and are distributed as incentives toward good health, but only when the women come to the EBAIS for their checkups. A midwife receives her “birth kit” with scissors and a flashlight for each impending birth; and there is an additional white bag for the baby’s initial health needs. Dr. Ortiz beamed with understandable pride while describing the progress achieved between the CAJA for whom he works, and the indigenous people whom he has come to know well over the years. Making these common sense, but still remarkable, accommodations for a unique culture doesn’t come easily to any entrenched national bureaucracy. The new EBAIS and all the collaboration it stands for has united the community as well as the CAJA employees involved. A La Casona resident waiting outside the EBAIS. 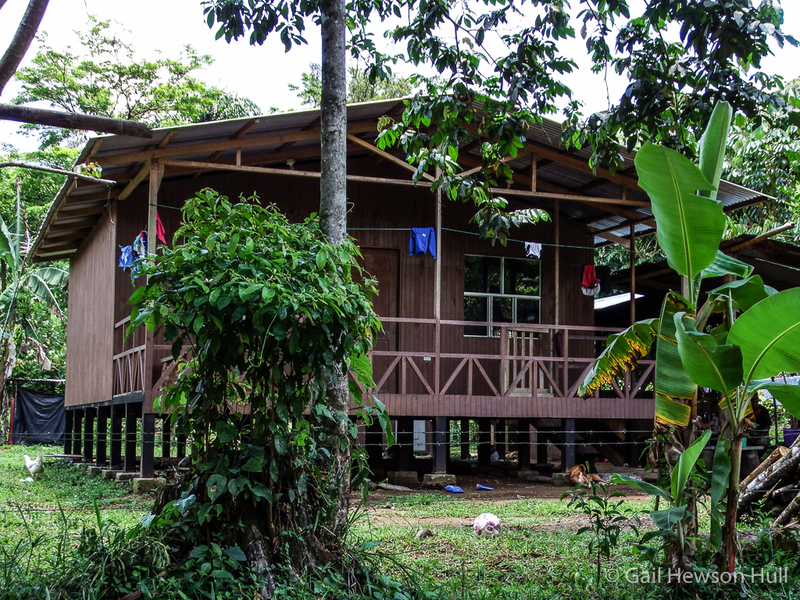 The Costa Rican government housing ministry will now provide qualified Ngobe applicants with “bonos” (subsidies) for homes such as these in the Ngobe style. This is a model for all such future homes in La Casona.